Sustainability has become, in recent years, essential to any approach regarding development. However, the word itself has a different meaning in economic development, politics, cultural evolution and heritage, resource management and other contexts. 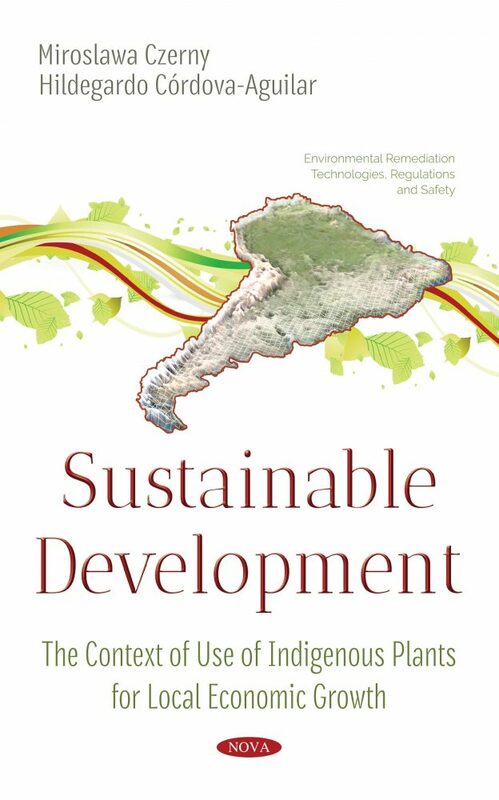 The main meaning for the purpose of this book is that sustainability seems to be an uncomplete concept since it does not take into consideration the achievements in science and technology which alter our understanding of criteria, like durability, persistence and sustainability itself. In discussions concerning the proper management of resources and changes in the structure of the ”basket” of resources that still remain at the disposal of humankind, the key players are human beings, with their consumption models, habits and dependence on products originating from the surrounding environment. It is quite well-known that ”sustainable development” is regarded as a concept by which to overcome or at least ease glaring economic and social disparities between the industrialised and the developing countries not only for today, but also for the future. The assumption here holds that poverty and constant shortages facing a majority within the society of each developing country favour an over-exploitation and chaotic use of resources. The over-exploitation showing little or no care for the natural environment is pursued by individuals, small-scale entrepreneurs, and by large concerns that destroy the environment with impunity. We refer here to sustainability as a concept applied to integral rural development in peripheral regions such as the sierra of Piura in northwestern Peru and Viques in the Mantaro Valley of Central Peru. The development of rural areas in the Peruvian Andes is mainly linked with agricultural activity. Since pre-Columbian times, the management of land for farming has represented the greatest challenge for those inhabiting the region in question. The scarce resources that arable land inevitably represented here was subject to special protection. Ayala, G. (1992). Aporte de los cultivos andinos a la nutrición humana. In: FAO: Raíces andinas-Contribuciones al conocimiento y a la capacitación. Roma. [“Contribution of Andean Crops to Human Nutrition” in FAO: Andean Roots- Contribution to their Knowledge and Training, Rome]. Barrera, V., Tapia, C. & Monteros, A. (Editores). (2004). Raíces y tubérculos andinos: Alternativas para la conservación y el uso sostenible en el Ecuador. Serie: Conservación y uso de la biodiversidad de Raíces y Tubérculos Andinos: Una década de investigación para el desarrollo (1993-2003). N° 4. Instituto Nacional Autónomo de Investigaciones Agropecuarias. Centro Internacional de la Papa, Agencia Suiza para el Desarrollo y la Cooperación. Quito, Ecuador- Lima, Perú. [“Roots and Andean Tubers: Alternatives to their conservation and sustainable uses in Ecuador”. Series: Conservation and Uses of Andean Roots and Tubers Biodiversity: One Decade of Research for Development (1993-2003) N° 4. National Autonomous Institute of Agricultural Research. International Potato Center]. Blog “El tumbo: fruto de la pasión”. (2012). [“Tumbo: Fruit of Passion”] Unknown author in: http://wwweltumbo.blogspot.com/, 11/12/13. Brack, Egg A. & Mendiola, V. C. (2000). Ecología del Perú. Lima; PNUD, Editorial Bruño. [Ecology of Peru]. Britton, N. L. & Rose, J. N. (1919). “The Cactaceae: Descriptions and Illustrations of Plants of the Cactus Family.” Washington, D.C; The Carnegie Institution of Washington. Vol. 2. Cárdenas, M. (1969). Manual de las plants económicas de Bolivia. Cochabamba, Bolivia Imprenta Icthus. [Handbook of Economic Plants of Bolivia]. Córdova-Aguilar, H. (2013). Nuevo Plan de desarrollo local concertado del distrito de Frías, provincia de Ayabaca, Piura, 2013-2025. Lima, Municipalidad Distrital de Frías- Sociedad Geográfica de Lima. [New Concerted Local Development Plan for the District of Frías, Province of Ayabaca, Piura, 2013-2025. Lima, District Municipality of Frías- Geographic Society of Lima]. Córdova-Aguilar, H. (2014). Nuevo Plan de desarrollo local concertado del distrito de Viques, provincia de Huancayo [New Concerted Local Development Plan for the District of Viques, province of Huancayo], Junín, 2014-2025. (unpublished). Czerny, M. (red.). (2013). Bieda i bogactwo we współczesnym świecie. WUW, Warszawa. [Poverty and wealth in the modern world]. Czerny, M. (1986). Planes del desarrollo regional y la integración del espacio en América Latina. Actas Latinoamericanas de Varsovia, vol. 2, 89–102. [Regional development plans and spatial integration in Latin America”. Latin American Acts of Warsaw. vol. 2: 89–102]. Czerny, M. (1985). Działalność obcego kapitału a regionalne dysproporcje w Ameryce Łacińskiej. In: Neokolonializm. PAN Warszawa. [Activity of foreign capital and regional disparities in Latin America]. Czerny, M. (1980). Urbanizacja w warunkach rozwoju zależnego na przykładzie Kolumbii. [Urbanization in conditions of sustainable development, the case of Colombia]. Materials from the symposium: “Rozwój zależny krajów Trzeciego Świata”. Kozubnik. Czerny, M. & Córdova Aguilar, H. (2014). Livelihood – Hope and Conditions of a new Paradigm for Development Studies. The Case of Andean Regions. NOVA, New York. Czerny M., Czerny A. 2002. The Challenge of Spatial Reorganization in a Peripheral Polish Region. European Urban and Regional Studies vol. 9, no. 1, s. 60–72. De Feo, V., Simone, de F., Arias Arroyo, G. & Senatore, F. (1999). Carica candicans Gray (Mito), an Alimentary Resource from Peruvian Flora. Journal of Agriculture and Food Chemistry, Vol. 47, N° 9, 3682 -3684. Elliott, J. A. (2013). (Fourth Edition). An Introduction to Sustainable Development. Routledge Perspectives on Development. London and New York. Escobal, J. & Valdivia, M. (2004). Perú: Hacia una estrategia de desarrollo para la sierra rural. Lima, Grade. [Peru: Towards a Development Strategy for the Rural Sierra, Lima Grade]. Ewards, R. M. (1992). Development – Aufgabe des politischen Ordnungsrahmens oder ethisch motivierte unternehmerische Initiative? In: Sustainable Development als Leitbild der umweltbewußten Unternehmensführung. Dokumentation einer Vortragsveranstaltung am, 22, Juni 1992, Westfälischen Wilhelms-Universität zu Münster. Felles, D. (2013). Diversidad biológica, cultural, y Vasconcellea candican, “mito”, como especie subutilizada, en el distrito de Pachangara-Oyón-Lima. Universidad Nacional Faustino Sánchez Carrión, Repositorio Digital. [Biologic, Cultural Diversity and Vasconcellea candican, “mito” as underused species in the Pachangara-Oyón-Lima District”. National University Faustino Sánchez Carrión. Digital Repository]. Fondo Internacional de Desarrollo Agrícola. (2013). Dar a la población rural pobre del Perú la oportunidad de salir de la pobreza. FIDA. [“Give the Rural People the Chance to Leave Poverty”. FIDA]. LA: U.S. Department of Agriculture, Forest Service, Southern Forest Experiment Station. Franco, G., et al. (2002). “Manual técnico - El cultivo del Lulo.” [“Technical Manual- The Lulo Crop”]. Manizales, Colombia, Asohofrucol, Corpoica y Fondo Nacional de Fomento Hortofrutícola, Agosto. Fritz, P., Huber, J. & Levi, H. W. (1995). Nachhaltigkeit in naturwissenschaftlicher und sozialwissenszaftlicher Perspektive. S.Hirzel, Wissenschaftlich Verlaggesellschaft, Stuttgart. [Sustainability in a scientific and socio-scientific perspective. S.Hirzel, Scientific publishing house, Stuttgart.]. Handke, K. (1993). Pojęcie “region” a symbolika “środka”. In. K. Handke (red. ): Region, regionalizm – pojęcia i rzeczywistość. Instytut Slawistyki PAN, [The term “region” and the symbol “center”. In. K. Handke (ed. ): Region, regionalism - concepts and reality. Institute of Slavic Studies]. Warszawa, pp. 105-120. Hauff, V. (ed.). (1987). Unsere gemeinsame Zukunft. Der Brundland-Bericht der Weltkommission für Umwelt und Entwicklung, Greven. [Our common future. The Brundland Report of the World Commission on Environment and Development, Greven]. Held, M. & Geißler, A. (Hrsg). (1993). Ökologie der Zeit. Vom Finden der rechten Zeitmaße [Ecology of time. From finding the right time measurements], S. Hirzel Verlag, Stuttgart, Leipzig. Henseling, K. O. (1995). Eine nachhaltig zukunfts-verträgliche Stoffwirtschaft als politisches Leitbild. In: Fritz P., Huber J., Levi H.W. (red.). Nachhaltigkeit in naturwissenschaftlicher und sozialwissenschaftlicher Perspektive. S. Hirzel – Wissenschaftlicher Verlagsgessellschaft, Stuttgart. [A sustainably future-compatible material economy as a political model. In: Fritz P., Huber J., Levi H.W. (Red.). Sustainability in a scientific and sociological perspective. S. Hirzel - Scientific publishing company, Stuttgart]. Hernández Bermejo, J. E. & León, J. (ed.). (1992). Cultivos marginados: Otra perspectiva de 1492. Roma, Colección FAO: Producción y protección vegetal, No 26. [“Marginal Crops: Another Perspective of 1492”, Rome, FAO Collection: Vegetal Production and Protection N° 26]. Hermann, M. (1992). Andean Roots and Tubers: Research Priorities for a Neglected Food Resource. [Andean Roots and Tubers: Research Priorities for a Neglected Food Resource] Lima, IPC. Huamán Leandro, L. R. (2013). “Proyecto de tesis sauco final.” [“Thesis Project Sauco Final.”] Huánuco, Universidad Nacional Hermilio Valdizán. http:// es.slideshare.net/ LicethRocioHuamanLea/proyecto-tesis-sauco-final Page visited on December 17, 2016. Instituto de Nutrición de Centro América y Panamá (2012). Tabla de composición de alimentos de Centro América. Guatemala, Unión Panamericana de Salud; Tercera reimpresión. [Table of Nutritional Content of Food in Central America]. Jiménez-Escobar, N. D., Estupiñán-Gonzalez, A. C., Sánchez-Gómez, N. & Garzón, C. (n.d). Entobotánica de la media montaña de la serranía del Perijá.” [“Ethnobotany of Medium Landslopes of the Perija Mountain”]. http:// www.academia.edu/ 15298959/ETNOBOT% C3% 81NICA_DE_LA_MEDIA_MONTA%C3%91A_DE_LA_SERRAN%C3%8DA_DEL_PERIJ%C3%81 Consulted on December 17, 2016. León, J. (1964). Plantas alimenticias andinas. Instituto Interamericano de Ciencias Agrícolas. Boletín técnico N° 6, Lima. [“Andean Nutrition Plants”. Panamerican Institute of Agricultural Sciences. Technical Bulletin N° 6, Lima]. Lim, B. & Spanger-Siegfried, E. (red.). Co-authored by Ian Burton, Elizabeth Malone, Saleemul Huq. (2004). Adaptation Policy Frameworks for Climate Change: Developing Strategies, Policies and Measures. UNDP. Lucas, Urquillas, K. A., Maggi Tenorio, J. M. & Yagual Chang, M. J. (2010-2011). Creación de una empresa de producción, comercialización y exportación de tomate de árbol en el área de Sangolquí, Provincia de Pichincha. Guayaquil, Tesis de Grado para el título de Ingeniería Comercial y Empresarial. Escuela Superior Politécnica del Litoral, Facultad de Economía y Negocios. [“Starup of Business on Production, Marketing and Export of Tree Tomato in the Sangolqui, Pichincha Province” Guayaquil. Thesis to get the Professional Title of Marketing Engineering]. Ministerio de Agricultura y Desarrollo Rural. Cadena Productiva Frutales y su Industria (2008). Proyecto: Identificación, valoración y uso potencial de las pasifloras en el Huila con fines de mercados especializados del orden nacional e internacional. Colombia. Corporación Centro de Investigación para la Gestión Tecnológica de Passiflora del Departamento del Huila - CEPASS Huila. Universidad de Huila. [“Project: Identification, Valuation and Potential Use of Passiflorae in the Huila with the Object to Sell at Specialized Markets at National and International Order”]. http:// www.huila.gov. co/ documentos/ agricultura/ CADENAS%20PRODUCTIVAS/ IDENTIFICACI%C3%93N,%20VALORACI%C3%93N%20Y%20USO%20POTENCIAL%20DE%20LAS%20PASIFLORAS%20EN%20EL%20HUILA%20CON%20FINES%20DE%20MERCADOS%20ESPECIALIZADOS%20DEL%20ORDEN%20NACIO(1).pdf. Ministerio del Ambiente. (2010). Dirección General de Calidad Ambiental Estudio Plan de Calidad ambiental Perú-Ecuador: Catamayo-Chira y Puyango-Tumbes. Lima, Consorcio E & H. [Study of the Plan of Environmetal Quality Peru-Ecuadro: Catamayo-Chira and Puyango-Tumbes. Lima]. Ministerio de Salud. (2009). Instituto Nacional de Salud. Tablas peruanas de composición de alimentos. Lima. Octava edición, 70 p. [Peruvian Tables on Nutrient Content of Food]. Mayolo A. & de, Santiago E. (1988). La nutrición en el antiguo Perú. Lima; Banco Central de Reserva del Perú. Fondo editorial. [Nutrition in Ancient Peru]. Mayolo, A. & de, Santiago E. (1990). Uso del espacio agrícola precolombino. In: El mundo andino en la época del descubrimiento. Lima, Comisión Nacional Peruana del V Centenario del Descubrimiento Encuentro de Dos Mundos. CONCYTEC., pp. 21 -108. [Uses of Precolombian Agricultural Space”. In Andean World at the Time of Discover, Lima]. Muñoz Fonseca, J. R. (1997). La pitahaya. [The Pitaya] Versión online: www.liberia. co.cr/promo/pitahaya_files Visitada el 4/6/2004. Muñoz Jáuregui, A. M., Blanco Blasco, T., Alvarado Ortiz-Ureta, C., Serván, K., Ramos Escudero, F., Laja, B. & Navarrete Siancas, J. (2005). Estudio nutritivo, bioquímico y toxicológico del fruto de la Carica stipulata V.M. Badillo (Papayita olorosa). Horizonte Médico, Revista de la Facultad de Medicina de la USMP, Vol. 5, N° 2, pp. 57-61. [“Nutritional, Biochemical, and Toxicologic Study of Carica stipulata V.M Badillo”]. National Research Council. (1989). Lost crops of the Incas. Little known plants of the Andes with promise for worldwide cultivation. Washington, D.C. National Academy Press. ONU, (2013). Objetivos de desarrollo del milenio: Informe de 2013. Nueva York. [Development Objectives of theMillenium: Inform 2013]. Palacios, J. (2006). Plantas Medicinales Nativas del Perú. 3rd ed. Lima: Imprenta ALC. [Native Medicinal Plants of Peru]. Pulgar Vidal, J. (1987). Geografía del Perú: las ocho regiones naturales. Lima. Ed. PEISA. [Geography of Peru: The Eight Natural Regions. Lima]. Petzold, H. (1997). Nachhaltigkeit und “neuzeitlicher Städtebau” – zur kulturellen Dimension der nachhaltiger Stadtentwicklung. IÖR-Schriten. [Sustainability and “modern urban development” - the cultural dimension of sustainable urban development. IÖR-Schriten.]. Prebisch, R. (1959). Commercial policy in the underdeveloped countries. American Sociological Review, v. 49, no. 2, pp. 251–273. Reynel, C. & Marcelo, J. (2009). Árboles de los ecosistemas forestales andinos. Manual de identificación de especies. Lima. Serie Investigación y Sistematización N° 9. Programa Regional Ecobona – Intercooperation. [Trees of the Andean Forest Ecosystems. Manual of Species’ Identification, Lima]. Romero Rodríguez, E. (2012). Desarrollo sostenible. Hacia la sostenibilidad ambiental. Ed. Produmedios, Bogotá. [Sustainable Development. Towards Environmental Sustainability. ]Roorda, N. (with P. Blaze Corcoran, and J.P. Weakland). (2012). Fundamentals of Sustainable Development. Routledge. London and New York. Roszkowska-Mądra, B. (2009). Koncepcje rozwoju europejskiego rolnictwa i obszarów wiejskich. [The concept of development of European agriculture and rural spaces]. gospodarkanarodowa.sgh. waw.pl/ .../ gospodarka_narodowa_2009_10_0. Rościszewski, M. (1974). Przestrzeń krajów Trzeciego Świata – problemy metodologiczne. In: M. Rościszewski (red.). Przestrzeń krajów Trzeciego Świata. Przegląd Zagranicznej Literatury Geograficznej, zeszyt, 1-2. IGPAN, Warszawa. [The space of the Third World – methodological problems. In: M. Rościszewski. The space of the countries of Third World]. Sagástegui Alva, A. (1995). Diversidad florística de Contumazá. Trujillo – Perú, Editorial Libertad., 203, p. [Floristic Diversity of Contumazá. Trujillo]. Sagástegui Alva, A., Rodríguez Rodriguez, E. & Arroyo Alfaro, S. J. (2007). “Plantas promisorias: El mito o papaya silvestre.” [Promisory Plants: Mito or Wild Papaya”]. INNOVA NORTE, 1(1), pp. 109-119. Sánchez, I. (1992). Frutales andinos. In: Cultivos marginados, otra perspectiva de 1492. Colección FAO, Producción y Protección vegetal N°26. Roma, Italia. [“Andean Fruits”. In Marginal Crops, Another Perspective of 1492. FAO Collection. Vegetal Production and Protection N° 26. Rome]. Santos, M. (1971). La spécificité de l’espace en pays sous-développés: quelques aspects significatifs. Institut d’Etude du Développment Economique et Social, Doc. De Travail, no. 28. [Space Identification in Under Developed Countries: Some Significant Aspects]. Schneidewind, U. (1993). Ökologie und Wettbewerbsfähigkeit: Freiräume für eine nachhaltige Chemiepolitik nutzen. Diskussionspapiere. Institut für Wirtschaft und Ökologie. Hochschule St. Gallen Nr. 11. [Ecology and Competitiveness: Using Freedom for a Sustainable Chemical Policy. Discussion Papers. Institute of Economics and Ecology. University of St. Gallen No. 11]. (1970). Vocabulario de los nombres vulgares de la flora peruana. Lima, Edit. Salesiana S.A. [Vocabulary of Folk Names of the Peruvian Flora. Lima]. Skoczek, M. (red.). (2013). Zmiany społeczno-gospodarcze w regionach tubylczych Meksyku i ich percepcja przez mieszkańców. Przypadek Regionu Mazahua. [Socio-economic changes in the indigenous regions of Mexico and their perception by the inhabitants. The case of Mazahua region]. WGSR UW, Warszawa. Yi-Fu-Tuan. (1987). Przestrzeń i miejsce [Society and Space]. PIW, Warszawa. Tapia, M. E. (1993). Semillas andinas. El Banco de oro. Lima; CONCYTEC., 76, p. [Andean Seeds. The Golden Bank. Lima]. Tapia, M. E. (2000). Cultivos andinos subexplotados y su aporte a la alimentación. Santiago De Chile, FAO, Segunda Edición. [Underused Andean Crops and their Contribution to Food. Santiago de Chile]Tapia, M. E. & Fries, A. M. (2007). Guía de campo de los cultivos andinos. Roma-Lima, FAO –ANPE. [Field Guide of Andean Crops. Rome]. Trivelli, C., Escobal, J. & Revesz, B. (2009). Desarrollo rural en la sierra. Aportes para el debate. Lima, IEP, CIPCA, GRADE, y CIES. [Rural Development in the Sierra. Contributions to Discussion. Lima]. Van Den Eynden, V., Cueva, E. & Cabrera, O. (1998). Plantas silvestres comestibles del sur del Ecuador. Quito, Abya Yala. [Wild Edible Plants in Southern Ecuador. Quito]. Villegas Nava, P. (2012). Los recursos naturales de Bolivia, Cochabamba, Centro de Documentación e Información Bolivia-CEDIB, Segunda edición. [Natural Resources of Bolivia. Cochabamba]. Valdizán, H. & Maldonado, A. (1922). La medicina popular peruana. Lima, Torres Aguirre., 3 vol. [Peruvian Popular Medicine. Lima]. Vite, Vigo. & Andrea, A. (2014). Agricultura de plantas silvestres en la sierra de Piura: Análisis de un modelo productivo de cultivo y comercialización de pitaya rn Frías (Ayabaca, Piura). Tesis de Licenciatura en Geografía y Medio Ambiente, Pontificia Univrsidad Católica del Perú. [Agriculture of Wild Plants in the Sierra of Piura: Analysis of a Productive Model to Crop and Commercialize Pitaya in Frias (Ayabaca, Piura). Lima. Thesis of Professional Licence in Geography and Environment, Pontifical Catholic University of Peru]. Werner, D., Thuman, C. & Maxwell, J. (2010). Donde no hay doctor: una guía para los campesinos que viven lejos de los centros médicos. Berkeley, California (USA), Hesperian. [Where there is not a Physician: A Guide to Peasants Who Live Faraway of Medical Centers. Berkeley]. Wust, W. H. (2003). Guía de especies útiles de la flora y fauna silvestre. Lima, Diario La República; ediciones PEISA S.A.C, Primera edición. [Guide of Useful Species of the Wild Flora and Fauna. Lima]. Yacovleff, E. & Herrera, F. (1933). El Mundo Vegetal de los Antiguos Peruanos, Cusco., 160, p. Online: www.fortunatoherrera.tk. [The Vegetal World of Ancient Peruvians. Cusco]. Zapata Cruz, M. (2007). Caracterización bromatológica del frutal silvestre Mote-mote Allophylus mollis (Kunth) Raldkofer (Sapindaceae). [“Bromatollogic Characterization of the Wild Fruit Mote-Mote Allophylusmollis (Kunth) Raldkofer (Sapindaceae)”]. Arnaldoa, Trujillo, 14 (1), pp. 105-110. Zerka, P. (2015). Obywatele zasobni w zasoby. Przesłanki, wzorce i instytucje dla zrównoważonego rozwoju w Polsce. Tezy i propozycje do “Białej Księgi” zarzadzania zasobami naturalnymi. demos Europa, Fridtjof Nansen Institute. Warszawa. [Citizens resource-rich. Premises, patterns and institutions for sustainable development in Poland. Theses and proposals to the “White Book” of management of natural resources].